Personally, I don’t post on table tennis forums all that often these days – I am too busy most of the time working on this website. If you want to check some of my old posts before I became a Guide, look out for posts by DTop or DTopSpirit, which are my forum names. I generally don’t post unless I have something I think I can add to the thread, whether it is some humor, insight or a link to an article I may have written that I think might add some value. Whether I succeed or not is another matter! 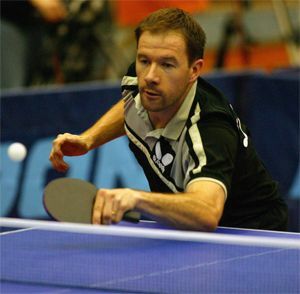 Anyway, now that I’m sitting down and typing, I might as well put on my expert hat and give some suggestions that I hope will go toward making the table tennis forums that I go to (especially my own!) a nicer and more informative place. You can take them with the grain of salt that I mention in Tip #10. I read a post somewhere on the net where the poster repeated ‘Be Kind’ several times. The general idea of his post has stayed with me ever since, and I’ll pass it on to you. When you read other people’s posts – be kind. When you are about to post something of your own – be kind. When you think someone has insulted you – be kind. Remember that written communication is missing all those little nuances of expression, body language and intonation that often allows to tell when someone is joking, gently teasing or deadly serious. Try to give everyone the benefit of the doubt before taking offence. Some people seem to leave their sense of humor behind when they surf the net. C’mon guys, we all love table tennis, so we have at least that in common, don’t we? Get a life and have a laugh, even if it is at yourself every now and again. It’s good to have opinions. Table tennis forums thrive on the thrust and parry of informed people having rational and interesting debates. Well, actually they seem to thrive on opinionated people with varying degrees of knowledge claiming that they are absolutely correct and everyone else is an idiot! But back to my original point – people on the forum (including myself) would love to hear your opinion on any table tennis topic – provided you can explain it coherently and support it with some rational argument. Calling everybody who disagrees with you an idiot doesn’t qualify. Accept the remote possibility that you might just occasionally be wrong, and maybe you might learn something every now and again. For some of the posters out there, making those first few posts is a bit nerve-racking, especially if they have read some of the replies made to other newbies. For all you forum veterans, how about encouraging the new guys and making them feel welcome, rather than ripping into them? We’ve all asked some dumb questions from time to time – remember Tip #1 and Be Kind. The more posters we have, the more interesting these table tennis forums will become. If you’ve been reading the forums for a while, you’ll know who the crackpots are – please leave them alone. Personally, I’m sick of wading through the same arguments time and time again just because a couple of people just can’t resist poking other posters with a stick. Grow up already, will you? Trust me, you’re not. (And no, neither am I!) Until you are winning national championships or coaching others who are winning them, how about showing some respect for those who have? Give us your opinion for sure, but don’t claim to be the last word on the subject. Don’t you realize how silly that makes you sound? If you can’t add something of interest or use to others to the thread, why bother? And believe me, those posts insulting other posters or telling us how great you are or why everyone else is an idiot aren’t of much interest to anybody else but yourself and the person you are insulting. Why not email him direct and save the rest of us from having to read it? I’m on the forum to read about Table Tennis – not about you! I sometimes feel that some people are posting just to get their post count up – and it generally shows in the usefulness of their posts. Others don’t post as often, but when they do, you know it’s going to be something interesting to read. It’s the old 80/20 rule – 80% of the useful information is coming from 20% of the posters. Remember, anybody can post pretty much anything they want on these forums, without having to prove it. Take anything you read with the proverbial big grain of salt – including what I have to say, of course! Before posting your question to the forums, take the time to check the FAQs or use the Search features for the forum – chances are your question has been asked and answered already. Er – grammar, that is. 😉 . Some people don’t care about spelling and grammar, others do. It’s up to you I guess. But please spare me from the hacker-speak – or provide me with a translation or something, for goodness’ sake! I’m getting to old to try to decipher it. I shudder to think what new readers must think about our sport and the people that play it when they visit some of the table tennis forums. Can we all try to give the new guys a positive impression of table tennis and its supporters wherever possible? Praising yourself will not gain you the respect of others — but posting interesting and useful thoughts will.